Blackberry phones just aren't that desirable anymore, and that's why device maker Research in Motion is having so much trouble. For years, the company has released dated hardware designs with last-gen specs, but more importantly, the Blackberry software experience hasn't kept up with the competition from Apple and Google. Blackberry phones suffer from a lack of apps and a general feeling of sluggishness that you just don't find in other modern smartphone platforms -- a point that seems painfully clear to everyone but RIM. Having beat expectations and seen its profits rise quarter after quarter in the past, RIM's latest earnings left a sour taste in investors' mouths. The company missed analyst revenue forecasts, which had already been lowered earlier in the year, and lowered its outlook for the second fiscal quarter of 2011. To cut costs, RIM will lay off an undisclosed number of employees. Shares fell sharply. RIM's market share are slightly different. For consumers whose Blackberry phones are starting to look stale, Android is the best alternative in terms of hardware. Users who are skittish about ditching physical keyboards will find plenty of options in Android, and will enjoy more apps, a better browser and higher-quality cameras than Blackberry phones currently offer. As consumers have lost interest in Blackberry, they're flocking to Android more than ever, according to desirability rankings from Nielsen. But not far behind is the iPhone, whose sales have doubled over the last year. Surely some Blackberry users are willing to throw down their physical keyboards in favor of Apple's slick iOS interface. And we've yet to see the effects of iMessage, a Blackberry Messenger clone that allows for unlimited text messages between iOS devices. When iMessages launches as part of iOS5 this fall, Apple will go for RIM's jugular. Meanwhile, RIM has failed to stop Apple's tablet dominance. The Blackberry Playbook, while promising, is undercooked with no native e-mail or calendar apps and a lack of apps from third-party developers. Tablets aside, the Playbook's slick QNX operating system could be the key to RIM's future and may ultimately be ported to smartphones, but the company seems to be in no rush to get there. 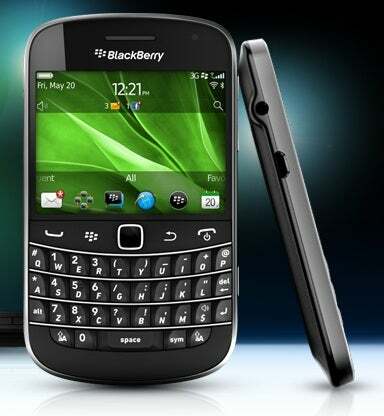 QNX was nowhere to be seen in RIM's 2011 Blackberry phone roadmap. RIM's latest bad news on the financial front should be no surprise. Apple and Google have been eating RIM's lunch for too long, and now the company may finally be going hungry.